Q: Will my vehicle be transported safely? The United States Department of Transportation license and regulate all vehicle transport companies and the Federal Motor Carrier Safety Administration (FMCSA) develops, maintains, and enforces federal regulations. You can check on the licensing and performance at www.fmcsa.dot.gov. Q: Will my vehicle be insured during transport? Roadside Auto and Truck Transport Company is fully licensed with the United States government. Our MC# 319082. We are also fully insured with $2,000,000 liability insurance and up to $350,000 cargo insurance. You can get a free quote by calling (847) 249-4300 or Click Here. Transportation pick- up and delivery times vary significantly based on the locations of the vehicles and the distance of the trip. Shorter trips average between 2-5 days and longer coast to coast moves average 7-10 days. 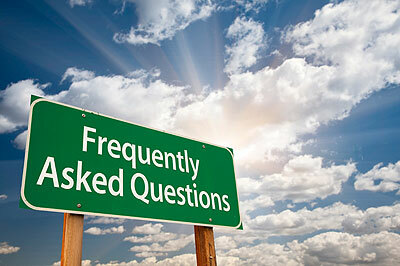 Q: Do you offer a door-to-door service, and are there any additional fees? We do offer a door-to-door service and we will pick up your vehicle as close to your house as possible, however, many city and state laws prohibit large trucks from traveling on many city streets. The large size of our trucks makes it nearly impossible to navigate on small city streets and could cause damage to public or private property, our truck, trees, etc. Depending on the situation, additional fees may apply. Q: Can I leave my personal items in the trunk or vehicle? Due to federal and state Department of Transportation (DOT) regulations, we are prohibited from transporting personal goods. Standard equipment, such as a spare tire, car jack, etc., are allowed by law. Anything left in the vehicle is uninsured, and any loss, theft or damage is not the responsibility of the carrier or driver. Q: Can you transport a vehicle that does not run? Yes we can, however, an inoperable vehicle requires special equipment. Additional fees for transporting an inoperable vehicle will apply. If your vehicle does not run, please let us know when you call or note this information on the quote form.